your agents to get key insights into your customers health and usage behavior. your customer success team to get insights into your Zendesk data. 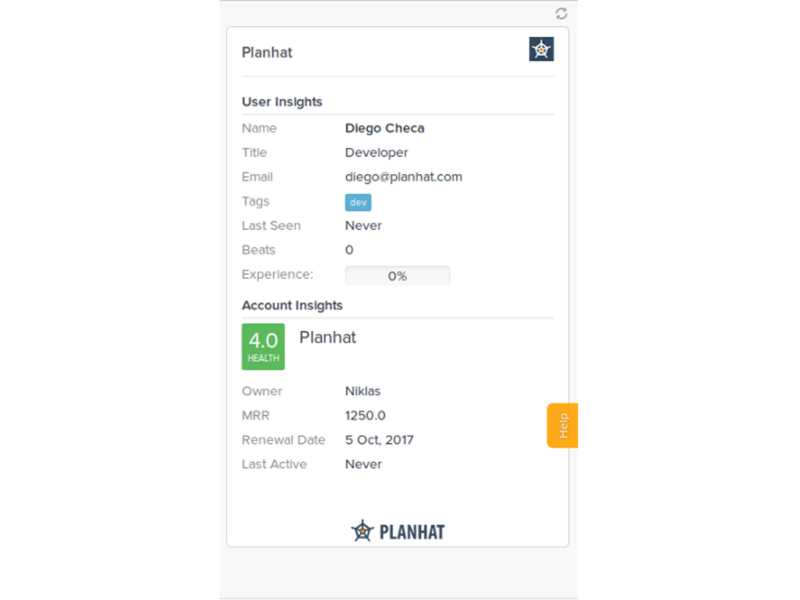 The Planhat application will help your support agents identify key users, get churn and up-sale alerts and understand the key subscription data such as the MRR value, renewal dates etc. 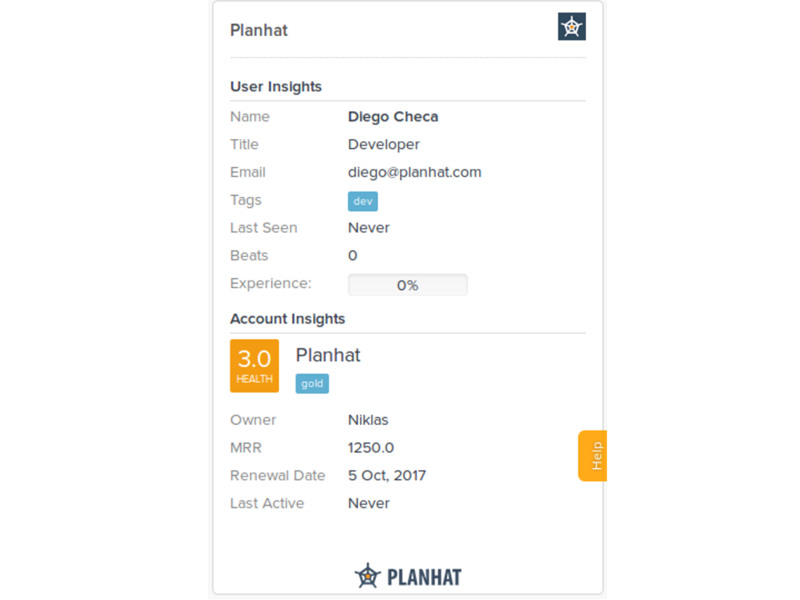 Insights coming from Planhat will equip your agents so they can give your customers a personalized and tailored support experience. How Planhat works Planhat is software for customer success. This app is available for Planhat customers only. If you haven't signed up yet, go to www.planhat.com and "request a demo" to try it out. 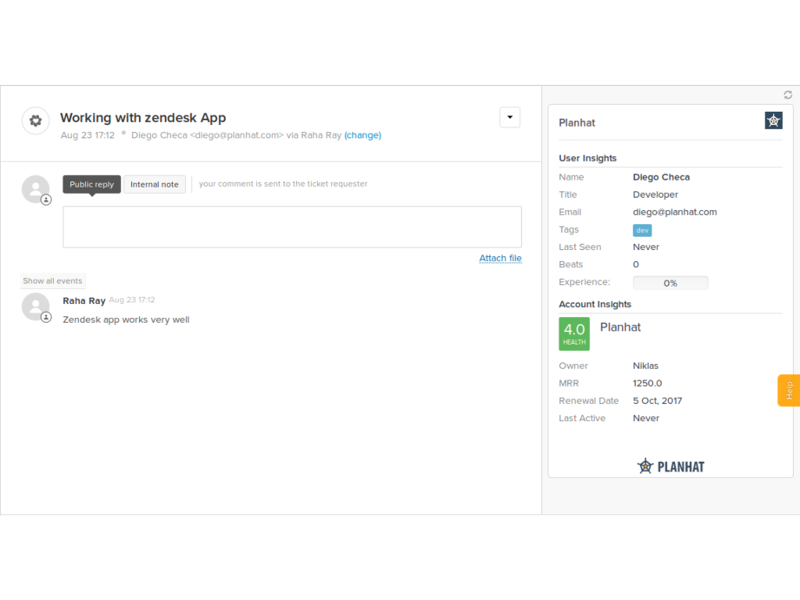 Log into your Zendesk account and go to the Apps Marketplace (Cog icon on the bottom-left). Locate the Planhat app using the search box on the right side and click on the tile. In the details page click on the ‘Install’ button (upper right) in the upper-right side. Token: The Planhat Api Token can be found into developers section, in the main left menu in Planhat. If you don't see this option please enable it on settings->features->core in Planhat. If you have troubles please contact us.